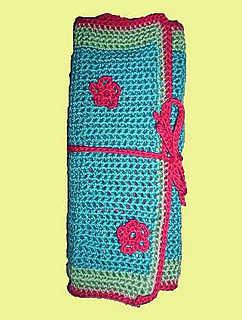 This pattern is for a crocheted knitting needle roll for circular and double pointed needles. It is made with cotton crochet thread and has directions for optional flower motifs. 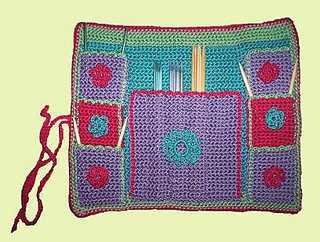 It can hold up to 6 circular needles and 6 sets of double pointed needles.